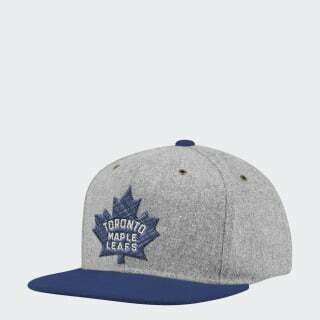 An adjustable wool hat for Toronto hockey fans. Put your love for the Maple Leafs front and centre. This wool cap features embroidered Toronto hockey details. An adjustable leather strap offers a custom fit.